Housing inventory typically decreases after the start of the school year, but last month the number of active listings increased for the fifth straight month. Other signs of the market becoming more balanced were a drop in the average price for all homes and a rise in the number of days on market. However, rising interest rates – currently at the highest level in seven years – have not yet impacted mortgage applications, which are up 3 to 4 percent year over year. 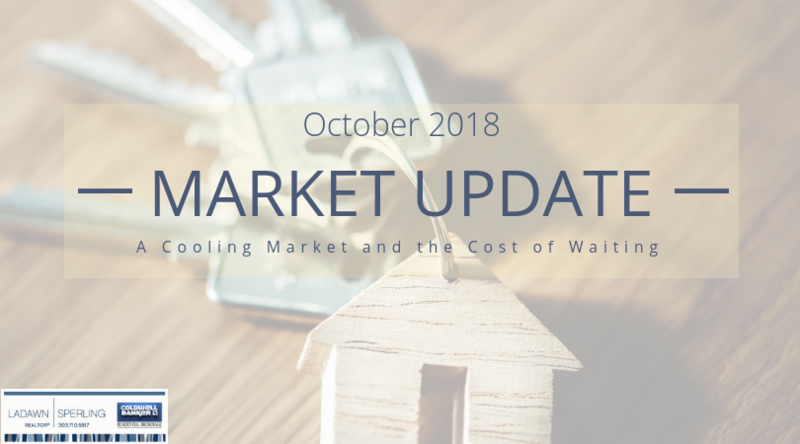 While the latest trends indicate the housing market may be shifting to one more favorable for buyers, homes that are priced appropriately and show well are still selling quickly. If you need any advice or assistance navigating our real estate market, contact me today at 303.710.5817 or ladawn.sperling@coloradohomes.com I am never too busy for your referrals. This update is based on information provided by the Denver Metro Association of Realtors® for the period of September 1, 2018, through September 30, 2018, for the following counties: Adams, Arapahoe, Boulder, Broomfield, Clear Creek, Denver, Douglas, Elbert, Gilpin, Jefferson and Park.